With shorter days and colder nights on the way, now is the time to make sure that your heating system will see you through the winter months without causing your energy bills to skyrocket. Although keeping your family warm through the winter is naturally your first concern, saving money is important too. A quick call to the comfort specialists at Indoor Comfort Services is the first step towards meeting both of those goals. We can conduct an affordable heating system tune-up that will ensure that you and your family stay cozy in your Sacramento home no matter what the temperature is outside. Seasonal preventative maintenance for your heating system includes inspections of all parts and equipment, including ductwork for forced-air systems. That first blast of heat from your heating system can blow dust and other allergens into your home’s living areas. Indoor Comfort Services technicians can address air duct problems, helping your family breathe easier. The experts at Indoor Comfort Services are trained to spot potential problems before they lead to costly repairs. 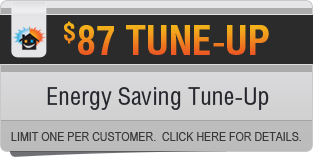 Our skilled technicians provide a heating system tune-up that keeps everything operating at high energy efficiency, saving you money on monthly fuel and energy costs. 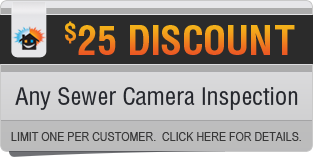 Because well-maintained systems work better and last longer, you’ll save money down the road as well. For furnaces fueled by oil or gas, seasonal inspections are critical. Fuel-burning furnaces produces harmful byproducts like carbon monoxide that must be properly vented outside your home. Without regular care, byproducts can cause parts to corrode, leading to dangerous leaks that pose fire hazards and health dangers to your family. 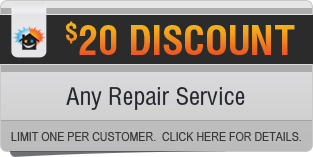 Only regular maintenance can make sure that your heating system continues to operate safely and effectively. When it comes to seasonal maintenance, our reputation for providing quality service for Sacramento heating and air conditioning systems ensures stellar results. At Indoor Comfort Services, we make sure that your heating system is not only prepared for cold weather but that it’s running at peak efficiency all winter long. To prepare your home for seasonal changes, call us today at 916-993-3510 to schedule a system tune-up. Serving Sacramento and the surrounding communities for more than 17 years, Indoor Comfort Services is your go-to HVAC company in Sacramento for services that will keep your heating and cooling systems operating effectively and efficiently, summer or winter. Our business is to ensure that your home remains at a comfortable temperature all year long without driving up your monthly energy bills. Whether you need air conditioning repair, furnace repair, or ductwork repair, when it comes to forced-air systems, you can count on Indoor Comfort Services to provide the assistance that you need. 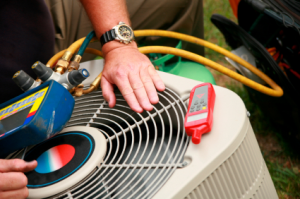 Our skilled technicians have the expertise to service a broad array of HVAC brands, even outdated or rare systems. 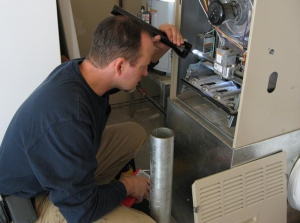 Indoor Comfort Services offers the best maintenance service plans in all of Sacramento, providing scheduled, regular heating and cooling systems tune-ups that keep equipment running at peak energy efficiency no matter what the temperature outside may be. Regular maintenance is not only the most cost-effective way to make sure that systems are operating efficiently but is the best way to extend the life of your cooling and heating systems as well. All of our service vans are stocked with hundreds of manufacturer-approved parts, so you won’t be kept waiting while parts are ordered. In fact, you’ll never be kept waiting. At Indoor Comfort Services, you choose the appointment time that’s most convenient for you. We offer prompt around-the-clock emergency services as well. If your air conditioning or heating system is more than seven years old, you may want to consider upgrading to a new, more energy efficient system. Modern systems can save you as much as 25 percent on your heating and cooling costs. At Indoor Comfort Services, we offer upfront pricing so that you understand what the cost of any service will be before the work begins. 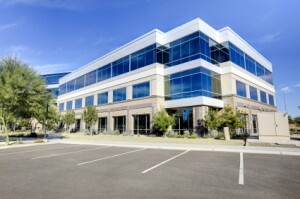 We’re also pleased to offer financing for HVAC system installations or repairs. Call us today at 916-993-3510 to learn how Indoor Comfort Services can make life in your Sacramento home comfortable the year round. Each year, heating and cooling systems in the United States emit around 150 million tons of carbon dioxide into the Earth’s atmosphere. Heating and cooling also accounts for up to 50 percent of energy consumption in the average American home. Indoor Comfort Services is committed to providing HVAC services that not only lower your Sacramento home’s monthly energy bills but that are friendly to the environment as well. At Indoor Comfort Services, we offer a wide range of products and services that can significantly reduce your Sacramento home’s carbon footprint. We have the experience and expertise to handle simple installations like programmable thermostats as well as installations that are more complex like solar panel arrays. From hot water heaters powered by the sun to regular air conditioning service in Sacramento that adds up to substantial AC energy savings, our company excels at delivering services that help the environment by conserving precious natural resources. Indoor Comfort Services is pleased to offer green technology solutions like geothermal, solar thermal, and photovoltaic energy systems as well. 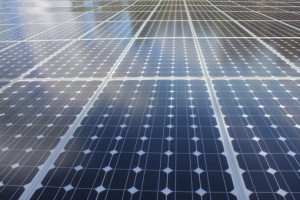 It’s never been more affordable to harness the power of the sun or the earth to provide electricity for your home. Rebate and incentive programs offered at the national, state and local level can reduce the upfront installation costs by as much as 50 percent or more. Once you’ve recovered the remaining cost through monthly savings on your electrical bill, you’ll enjoy clean, green energy for many years to come. Indoor Comfort Services is proud to offer a free energy survey of your Sacramento home that can collectively cut up to 30 percent off your monthly energy bills. Call us today at 916-993-3510 and discover how implementing green technology in your home can not only help the planet but can save you money too. As a homeowner in Sacramento, you may be wondering what you can do to increase your AC energy savings. At Indoor Comfort Services, we offer helpful advice, air conditioning maintenance, repairs and installations to keep your energy bill low. Our air conditioning service professionals offer these 5 ways to save on your air conditioning bill this summer. A tune-up performed by our experts at Indoor Comfort Services allows your air conditioner to operate at its peak level of efficiency. Our tune-ups include a system inspection, cleaning and lubrication, verification of refrigerant levels and thermostat settings and cleaning of the condensate line. Your air conditioner’s air filter is one of the most overlooked yet important components when it comes to saving money on your energy bills. Replacing the filter every one to three months could result in a 5 to 15 percent savings on your energy bill. Our service technicians install programmable thermostats that allow you to control the temperature in your home and maximize energy savings. By setting the thermostat 7 degrees higher for the hours you are away and 4 degrees higher while you sleep, you can save 5 to 10 percent on energy costs. Making small home improvements such as adding attic insulation, sealing gaps around door frames and windows and replacing old windows reduces unwanted heat exchange with the outdoors and lowers your monthly summertime air conditioning costs. Replacing your old, inefficient HVAC unit with a high efficiency system could save 30 to 50 percent off your air conditioning bill. At Indoor Comfort Services, our team of experienced service technicians has the training, education and experience to work on all types of air conditioning systems. By offering you the products and services to increase your home’s energy efficiency, we are able to help you lower your utility costs while enjoying the same level of indoor comfort. When you want to save on your air conditioning bill, call us at 916-993-3510 to schedule your air conditioning service in Sacramento.